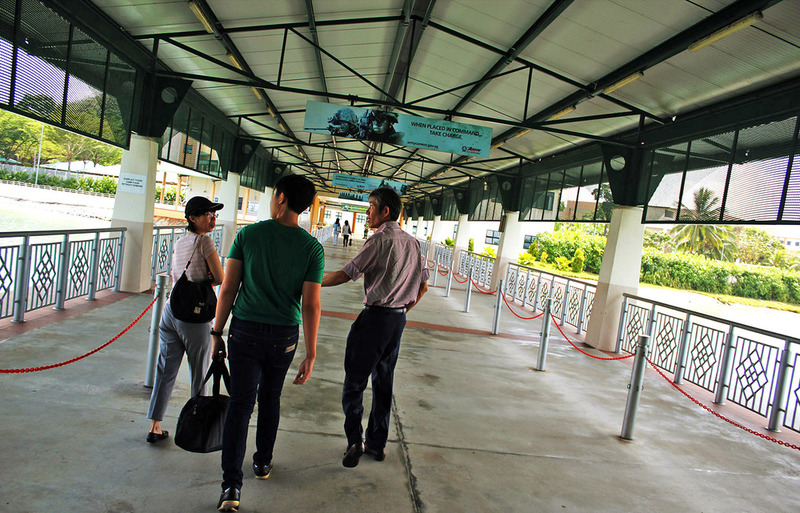 An enlistee and his parents at Pulau Tekong Ferry Terminal on Enlistment Day. 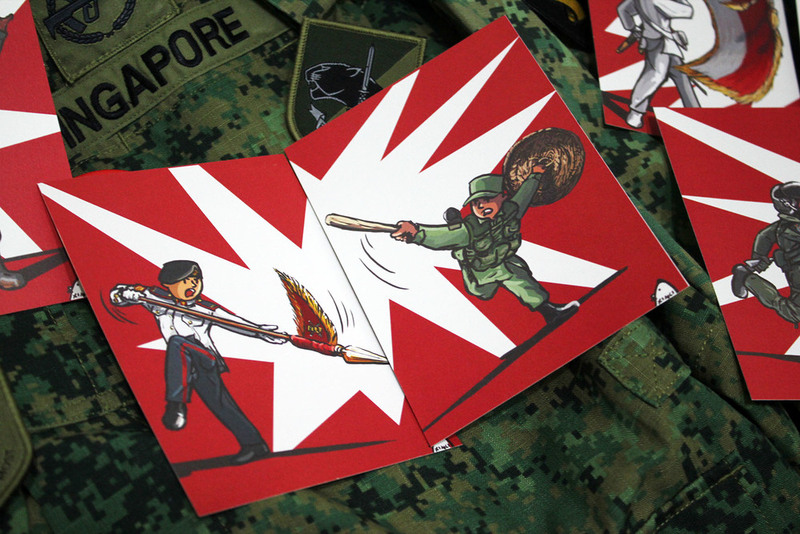 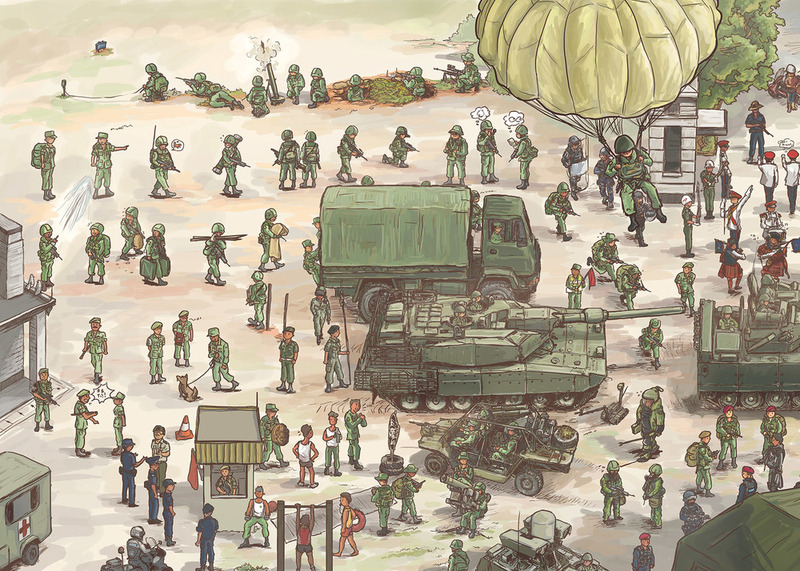 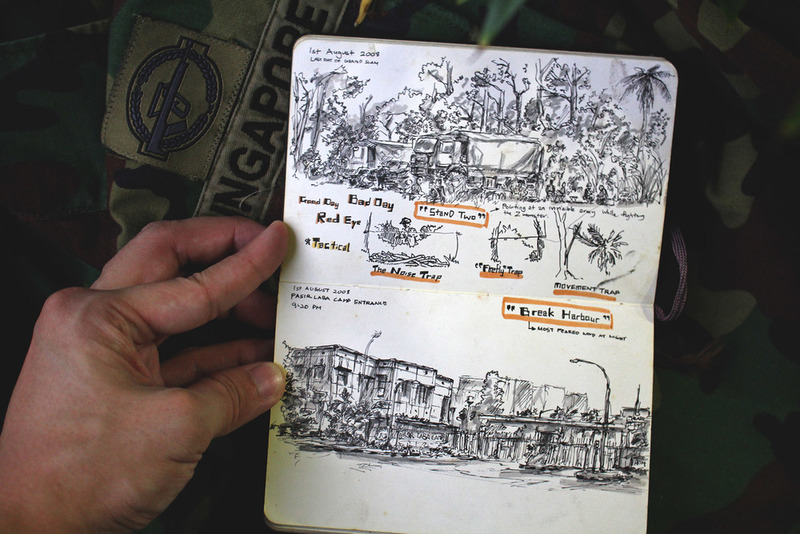 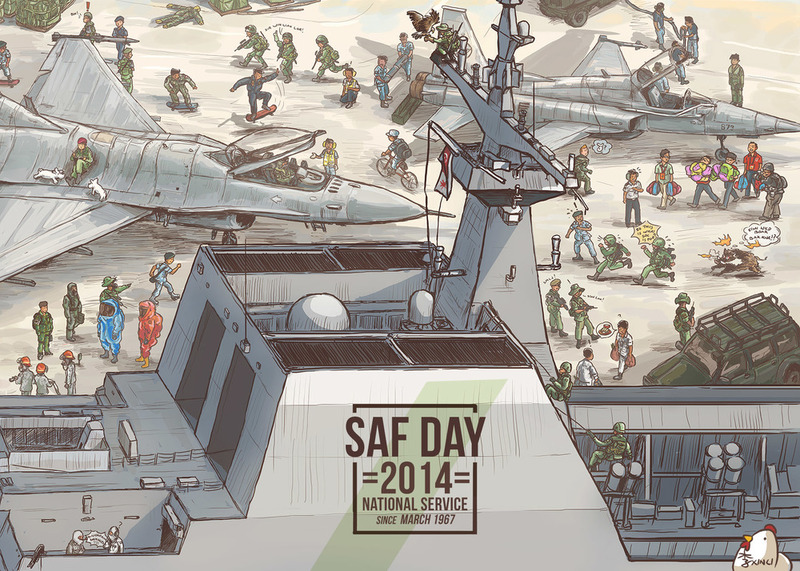 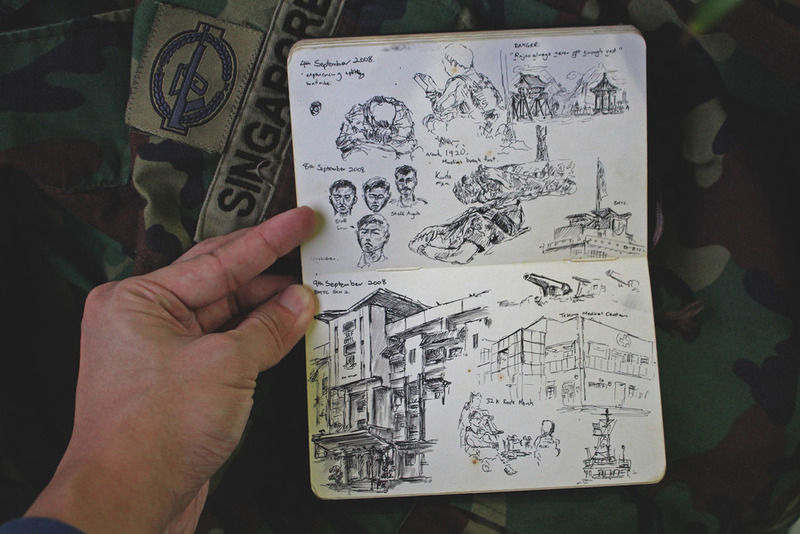 Eligible males in Singapore has to serve their mandatory military service from 18 years old onward. 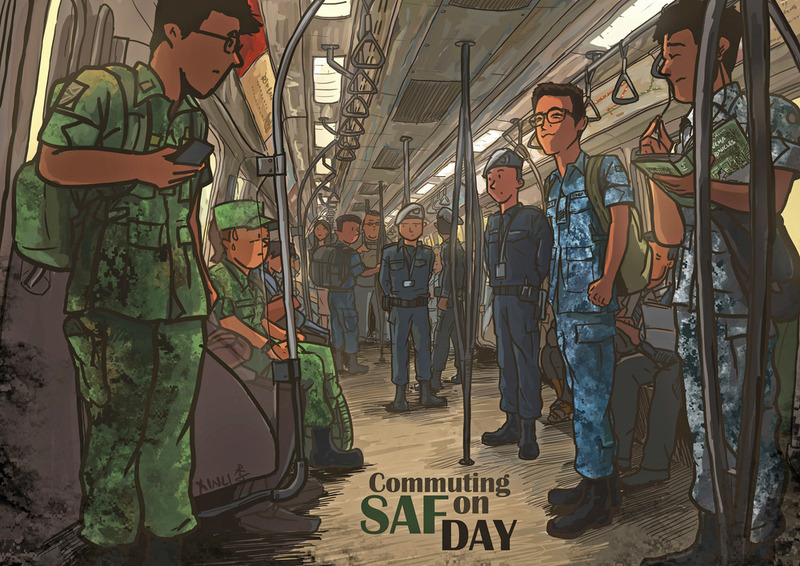 National Service is a bittersweet journey for many males and it has a strong presence in the country : sight of National Full-Time Servicemen booking out on Fridays and Saturdays, NSmen going back for reservist...I encounter them on a daily commute, it is such a Singapore sight. 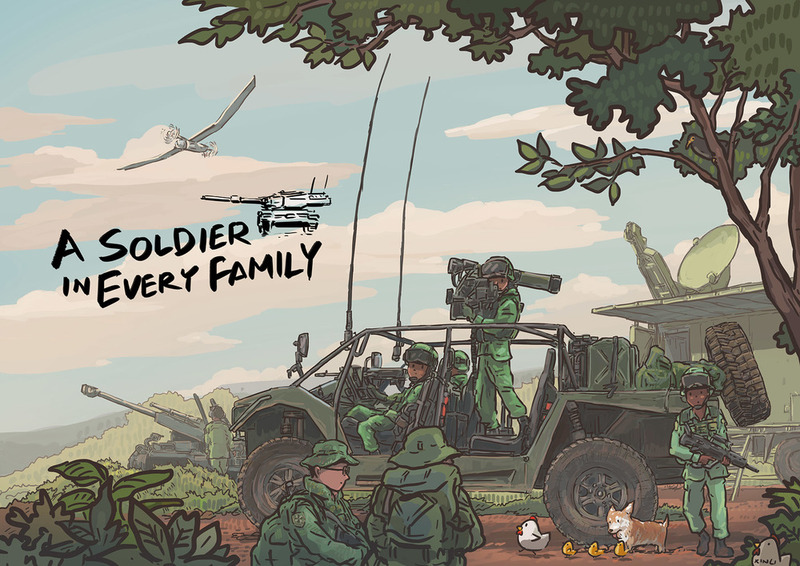 "A Soldier in Every Family"
Nothing to do, High Kneel.